I’m excited for Assassin’s Creed Unity for a number of reasons. I like that the game is decidedly more difficult than previous ones, with combat actually offering a challenge. I like that there’s an actual focus on stealth – and as an Assassin you’ll actually have to skulk in the shadows. Most of all, I like that the game actually wants you to explore the city it’s set in. It’s always been a problem with the series; giving you such beautifully designed locales and cities – and not giving players and really good reason to go exploring in them. Black Flag, with its hidden maps and nonsense started changing that, and its a change that continues in Unity. In a new devblog, Assassin’s Creed Unity writer Russell Lees said that the world would be littered with side quests and activities that would have a historical context. 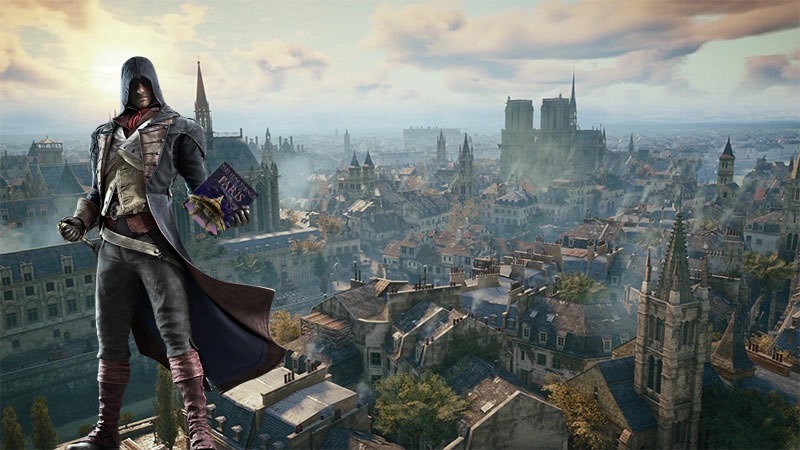 The game will feature stories and missions which are given by people within the city, that will lead stealthy-stabber Arno, outside of the game’s narrative – with some of them even chaining together to form a mini narrative. As a nerd with a fondness for history, I’ve always loved Assassin’s Creed for its digital historical tourism, but it seems that Unity’s taking it a step or two further.